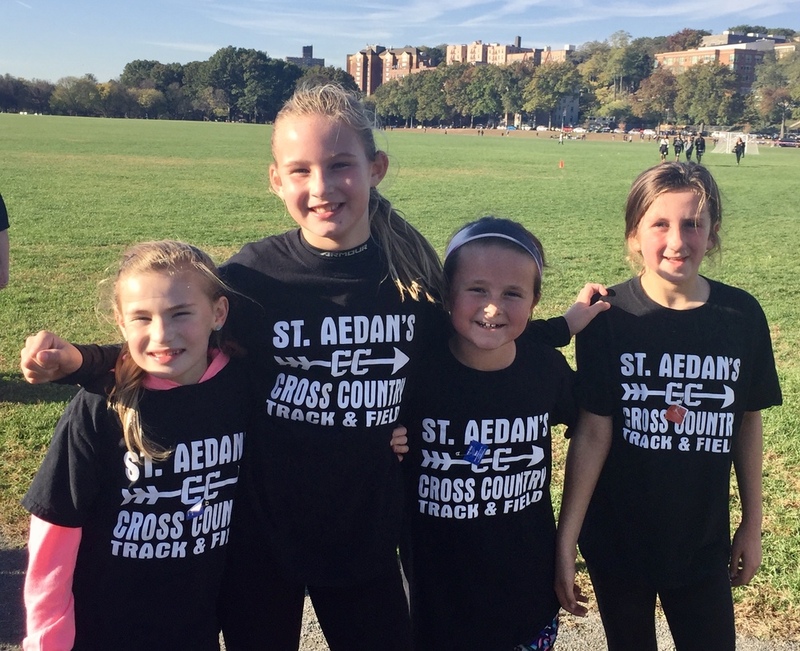 Saint Aedan’s had its inaugural CYO Cross Country season this fall (2017). We had a great turnout with over 40 children participating. The boys and girls ran in three meets including the New York CYO Championships. We had a strong showing bringing home three team trophies as well as many individual medals. Our girls K-2 group won first place, girls 3-5 won fourth place and girls 6-8 brought home the third place trophy. For the boys, our 3-5 graders won first place! Special thanks to our head coach Sheri Dempsey and her assistants John and Sheila McNaughton and Emily Donovan. We hope to continue our success in the spring outdoor track season. Information will be posted in the bulletin later in the year.